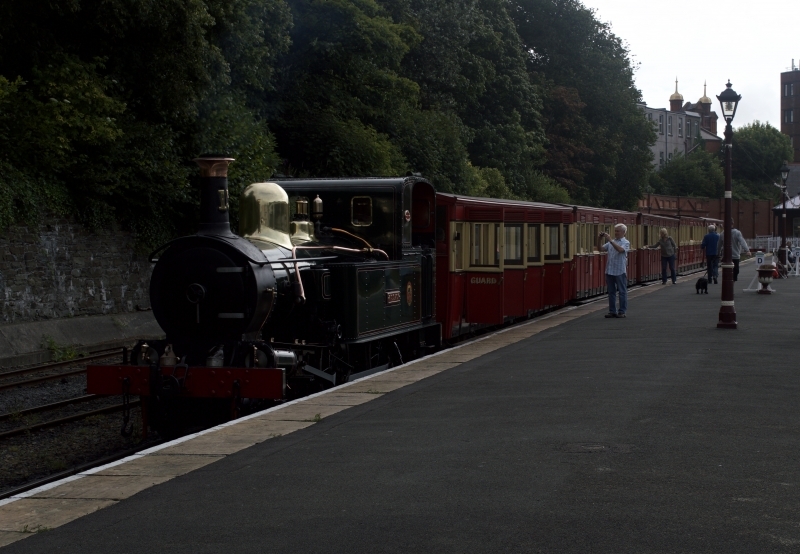 Last and final railway on the Isle of Man to visit was the steam railway from Douglas to Port Erin. Seen on 30 July 2017 was no.13 "Kissack" on the 09:50 Douglas to Port Erin. Once part of a much larger system of 3 foot gauge lines and originally served Peel, Ramsey and a short branch to Foxdale. These had all closed by 1968. Throughout most of the 1970s, the Port Erin line saw a service but not always the full length. 1977 saw the line taken over by the Manx Government and since then the operation has been built up to a larger attraction fore tourists running for around 8 months of the year.